Join us on our new fanpage on Facebook as we move from our old Facebook group.. So it's not like I didn't know this but, Environmental Booty needs to upgrade and move from our Facebook group to some brand spankin' new Facebook fanpage digs. I have so been draggin' my feet and resisting the change because it is just so hard to make the leap when our fabulous little group on Facebook has over 430 fabulous green members. I just don't want to lose any of our members in the move. 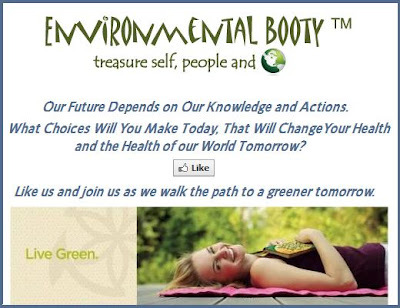 Well this week Facebook gave me the push that I needed to start the new Environmental Booty - Find the Treasure in Living Green Fanpage when they let me know that our Environmental Booty Group page will be archived. I was like WTF? Well like I always say, "Everything happens for a reason and things just have a way of working themselves out for the best." Our new Environmental Booty - Find the Treasure in Living Green Facebook Fanpage will be a much better way for us to share our green resources and questions. I really hope to see you there and see what you have to share. You can be sure we will have giveaways, green deals and tons of the latest news and tips for living a greener, healthier life for you and our world. Plus, remember mi casa es su casa! This is your green home as much as it is mine. Collaboration is a key to securing a greener future for all. I love it when my blogger friends lay down links to their green articles and I always welcome my green supplier friends to share information on their green goodies too! Got pictures? We want you to share! 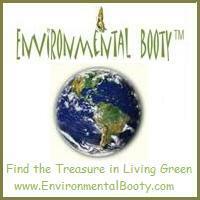 Know of a great green event? You have to share it! 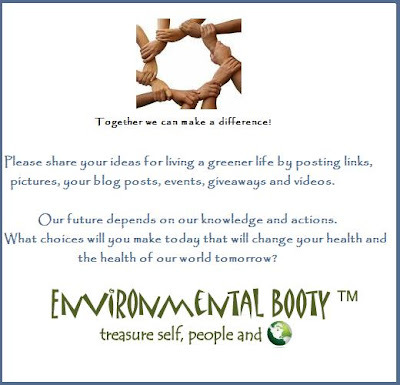 So get on over to the new place and join us as we all share questions, ideas and inspiration as we walk on the path to green living together.